Welcome everyone, to this weeks Thursday Throng Interview. Today I’d like to welcome Dee Doanes into the hot seat as she explores her inner author with my 20 question interview. Dee is the author of The Man with the Green Suitcase and describes herself as an author, nerd, book publishing expert, lover of life and a socialite. The Review: A title like The Man with the Green Suitcase could do one to two things to a potential reader, it could turn them off because it appears too pedestrian, or it could intrigue them, encouraging them to read further. My advice to any would-be reader is be the latter. This is not just a book with a man who happens to have a green suitcase, it’s a book about karma and the need to accept responsiblity for the actions we take; ultimately, though it’s a book about redemption. It’s woven together so beautifully that you’ll barely notice the passing of time as you read. I also love characters I can believe in, you’ll notice in other interviews I have done that, where this is evident, I will talk about it; that’s because to me, it’s the characters in a novel that make the story; if the reader can’t resonate with them, feel compassion and a connection at some level, then the story loses it’s capacity to hold you. This, novel, as do some others I’ve read this year, has that believability and authenticity. You won’t be disappointed. The Interview: All my interviews start off the with the same question and we go on from there. So Dee, What’s one thing that no-one would usually know about you? I’m the geekiest person ever! No on e would ever suspect that I could read science, Greek mythology, and history books all weekend and not go out to clubs dancing like Beyoncé all night. Yes, even if they don’t have a name, like the lead character in my book. He’s an old, homeless man that has no memory and he gives visions to people. The old man not having a name sets the mood for my book. I didn’t spend too much time choosing names for the rest of my characters: Gerald, Valerie, Lee, and Chantal. 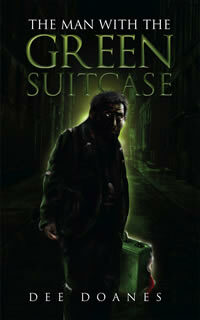 I woke up at 2 a.m. and thought of poem I had written several years ago called, The Man With the Green Suitcase. Aloud, I recited some lines from the poem, “His face filled with sweat. His eyes filled with fire. He’s waiting to be reborn. Until then he’s just walking. Just walking.” Those words were so strong inside my head. I thought, aha, this is the book! I ran to my computer to find the old poem since I couldn’t remember all the lines. I immediately wrote the ending—the last chapter of my book and went from there to develop the plot. I have extreme carpal tunnel. And, I regularly turn into a crazy person, talking out loud to the characters in my book (and even answer back), to make sure the dialogue I’m writing sounds natural. I think so. Some serious fiction writers look down upon writers that write about pop culture, romance, erotica, etc. But, they need to realize that reader’s tastes are different. When I finished my novel one of my friends announced that I now would turn into an arrogant novelist. Of course she was kidding. Umm… I think she was. Yes, and I didn’t get any writing done. I was too busy looking at my love handles figuring out which exercise I needed to do to make them go away. Research the writers market thoroughly. Writing isn’t just a craft it’s a business. Many writers have talent but don’t know how to write proper query letters to send to agents and publishers. Look at a sample literary contract and find out about standard royalty payments. Also, keep up with the latest publishing trends. The market place has been changing a great deal over that last year. If you’re self-publishing you must know how to market yourself effectively or you won’t make any money. And just because you get a publishing deal doesn’t mean that your work is done. 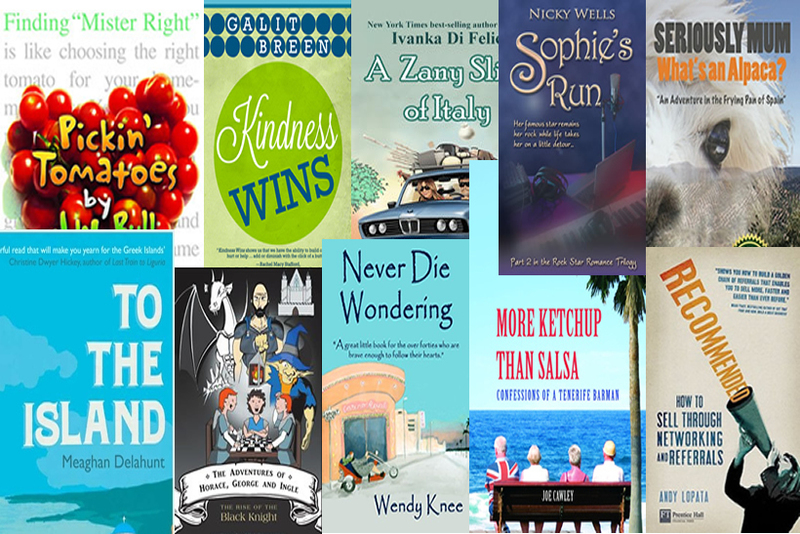 Even well known publishing houses don’t have large marketing budgets set up for new writers. That budget is for the big names like, Stephen King or James Patterson. Publishers expect new authors to come equipped with a platform to market books. This could be a large email list, social media following or visible online presence. Being a mother to my wonderful daughter. 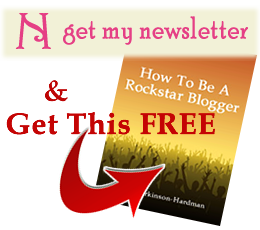 Writers need to read top book blogging sites. Join a writers group or association. Some good forums for writers are: http://bookblogs.ning.com/ , www.goodreads.com , and www.absolutewrite.com . I usually drink tons of filtered water. I’m a health nut. Sometimes I drink Match green tea. I like red wine, but if I drink while writing my characters would be doing some very outrageous things. Dee is available to readers all over the web and you can find her on her website at http://deedoanes.com; you can meet her on Facebook on http://www.facebook.com/deedoanes; tweet her on Twitter at http://twitter.com/Deedoanes and on Goodreads at http://www.goodreads.com/author/show/6463329.Dee_Doanes. Dee is also on LinkedIn at http://www.linkedin.com/in/jigsawmarketing. If you’d like to grab yourself a copy then you can pick it up on Amazon in the UK at http://www.amazon.co.uk/dp/0615675085/ and on Amazon in the US at http://www.amazon.com/dp/0615675085/s. You can read my review on both these sites and on Goodreads too. What a super interview and a very intriguing book! Thanks Anne, I’m sure Dee will be pleased you found it interesting. A very good interview and it has intrigued me enough to consider the book after I have finished reading 2 books written by friends and several Christmas presents! Not enough hours in the day!